Cultural heritage sites face both natural and human-induced disaster risks in many forms, from flooding to fire, landslide to volcanic eruption, and earthquake to tsunami. 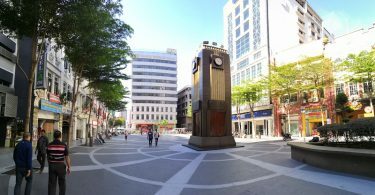 In the past decade, Southeast Asian cultural landmarks have been devastated as a result of several catastrophic events, such as Thailand’s floods in 2011 that ravaged most part of the country, the 2013 earthquake in the Philippines and the 2016 earthquake in Myanmar that brought many monuments to the ground. As many cultural heritage sites are located in the community, frequented by its people, the locals are often the most affected group when a disaster strikes, losing not just their centres for social gathering and spiritual practice that generate a sense of community but at times the sites where they indeed make a living. Generally, this same group of people is assigned only a minor role in the conservation of their own cultural heritage and has been minimally engaged when it comes to disaster risk prevention and mitigation. Therefore, it is with this situation in mind that SEAMEO SPAFA has initiated the project “School-based Approach in Promoting Disaster Risk Mitigation for Cultural Heritage”. The project is based on the idea that communities can be a key player in the conservation and protection of their cultural heritage and that a conservation mindset is best instilled at a young age. By engaging school communities, which include students, teachers and staff, and parents, to participate in disaster mitigation measures, they are empowered and better equipped to reduce the impact of disaster to their cultural heritage. As a result, they are more likely to quickly recover from a disaster and continue pursuing their livelihood and learning activities. This outcome corresponds to SEAMEO Priority Area No. 3: Resiliency in the Face of Emergency. It should be noted that Kampong Ayer, the “water village” in Bandar Seri Begawan, the capital city of Brunei Darussalam, was chosen as the site of this project thanks partially to the concerns about fire threats to the community raised by Mr Zainul-Akhyaar Amer Hairunuddin, a Bruneian participant in the 2nd SEAMEO Youth Leadership Forum, organized by SEAMEO SPAFA in 2016. The location offers a unique challenge because of its feature as a traditional settlement on stilt and its vulnerability to both natural and man-made hazards. Fire can be an imminent threat because wood is a prevalent construction material. Meanwhile, with its location at the mouth of the Brunei River that connects to the South Pacific Ocean, Kampong Ayer should be studied to find out where it is impacted by the rising sea level and climate change. 1. Enhance understanding of the impacts of disaster risks – both natural and human induced hazards – to cultural heritage among school communities. 2. Promote the values of cultural heritage in need of protection and conservation among the younger generation. 3. Increase beneficiary access to information and provide resources on cultural heritage and disaster risk management through various learning tools. Based on the Toolkit for Building Disaster-Resilient School Communities in Southeast Asia produced by SEAMEO INNOTECH, desk-based research will be conducted on disaster risk reduction for cultural heritage aimed at school communities. During this phase, proposed cultural heritage attributes, risk identification and assessment, and target beneficiary-specific pedagogical tools (if possible) will be addressed to provide a framework for developing educational tools. 2.3 Identification of existing mitigation measures – whether traditional or recent. Similar activities are planned to be conducted in other school communities, tentatively in Thailand and the Philippines by FY 2020/2021, depending on project evaluation and outputs from activities implemented in Kampong Ayer. Results from Phase 1 and Phase 2 will contribute to the development of educational tools, manuals and/or guidelines on disaster risk mitigation for cultural heritage among school communities. 1. Implementation or improvement of disaster risk management for cultural heritage among school communities exposed to disasters. 2. 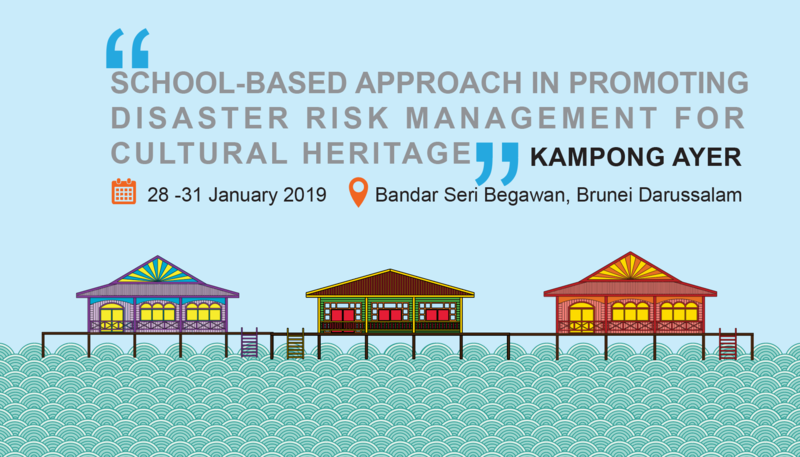 Wider regional – and hopefully international – recognition of Kampong Ayer as a learning centre for the protection and conservation of traditional water settlements on stilts. 3. Contribution to SEAMEO Priority Area 3 on “Ensuring Resilience in the Face of Emergencies” and UN Sustainable Development Goal 11 on “Sustainable Cities and Communities” to “Strengthen efforts to protect and safeguard the world’s cultural and natural heritage”.